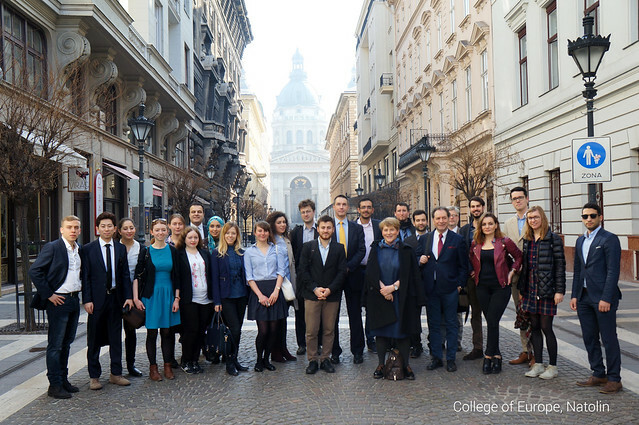 From 18 to 25 March 2017, students of the College of Europe Natolin campus embarked upon one of four tailor-made Study Trips to destinations within the European Union and at its borders. The second semester Study Trips offered students the opportunity to apply the knowledge gained in the first and second semesters and to carry out research for their Master's theses. A Study Trip to Brussels, Luxembourg and Bruges brought students to the very headquarters of the European institutions, the place where interests clash, perspectives are confronted and, ultimately, where important decisions are made. Under the title "The EU’s Quest for (Renewed) Legitimacy", students were invited to speak to politicians, experts, and policy-makers on topics such as trade agreements, Brexit, and the issue of defence, as they attempted to understand and assess the current state of the EU's legitimacy. On the Study Trip entitled "Central-European Alternatives? Past, Present and Future in the Visegrád Countries", students explored the entangled histories and memories of the four Visegrád countries, gaining an understanding of the context so vital to the analysis of regional geopolitics, security and governance, and Europe's fundamental challenge: democratic legitimacy. Confronting also contemporary politics, students traveled from Poland to the capital cities of Czechia, Slovakia and Hungary – Prague, Bratislava, and Budapest. The purpose of the Study Trip to Georgia and Armenia entitled "Managing the Multifaceted Dimensions of (In-)Security in the South Caucasus" was to let students examine the complex facets of the respective countries' relations with the EU and other actors in the region in a comparative manner. Regional security in the Southern Caucasus, energy security and social security were among the topics at the core of the academic programme of this study trip. Additionally, it provided students the opportunity to become acquainted with Georgia's and Armenia's rich histories and cultures. A fourth Study Trip under the title "The Baltic and European (In)Security Dilemmas" to the Baltic Region, which has come to profile the increased political attention and academic debate in Europe on the blurring lines of (in-)security, provided students with the chance to investigate the contemporary and future challenges to European security. The trip included visits to the Kaliningrad Oblast, Estonia, and Latvia, where students gained not only valuable access to first-hand knowledge and expertise in the field of (European) security studies, but also an insight into regional-cultural diversity.